2019 Update - We have made revisions to correct for minor errata. For a complete list of updates made, please visit us at www.thetutorverse.com. 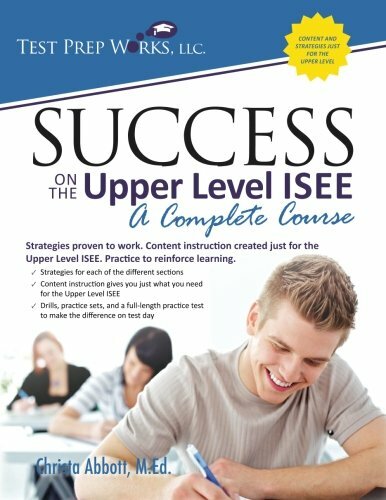 --- The Upper Level ISEE can be a very challenging test. Extra practice can make all the difference between a good score and a great score. 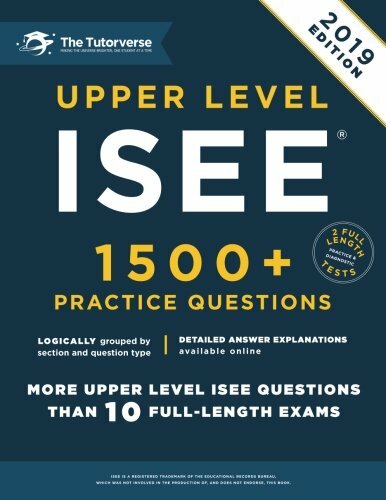 That’s why this book has more questions than even 10 full-length exams - well over 1,500 practice questions dedicated only to the Upper Level ISEE. You won’t find any material in this book related to another test – there’s no filler here! 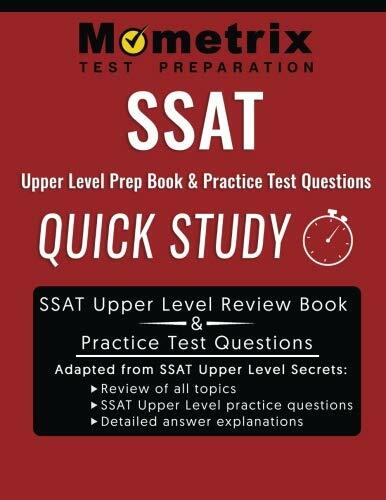 In this book you will find: • Two full-length tests; a diagnostic test to help you pinpoint the areas in most need of improvement, and a practice test to help familiarize students with the real thing. • Critical skills and concepts broken out by topic, so students can zero-in on key areas. • Questions that progress in difficulty, to help students expand their knowledge base and prepare for tough questions. 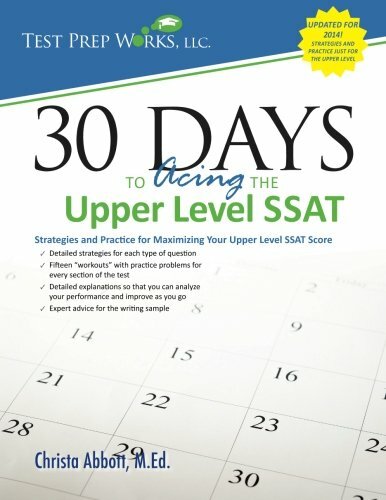 • 100 pages of detailed answer explanations available online at www.thetutorverse.com. This book can be used for independent practice or for study with a professional educator. For best results, we recommend using this book with a tutor or teacher who can help students learn more about new or particularly challenging topics. You asked, and we listened! 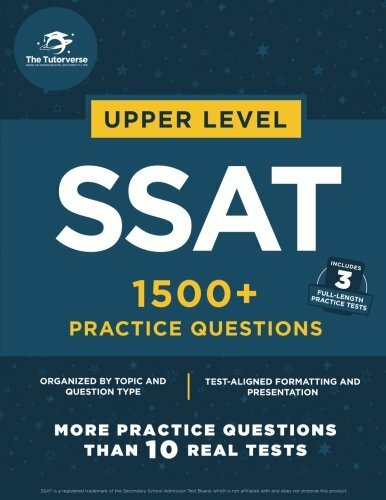 The Tutorverse is proud to provide students with the best in Upper Level SSAT prep materials: Upper Level SSAT: 1500+ Practice Questions! 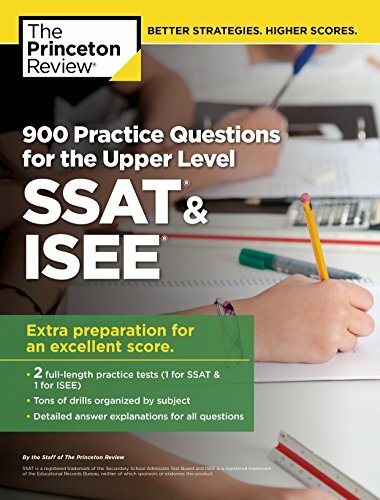 Like our best-selling line of ISEE workbooks, this book has more practice questions than 10 full-length exams! 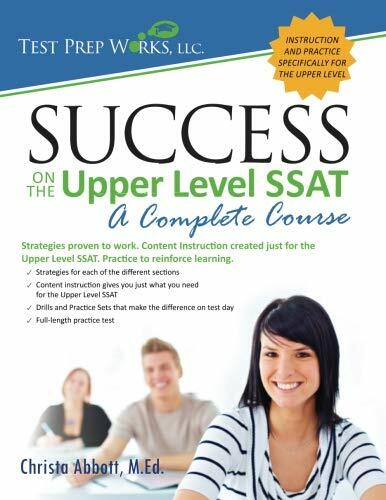 With over 1,500 practice questions dedicated to the Upper Level SSAT, this book provides enough practice for even the highest-achieving student. 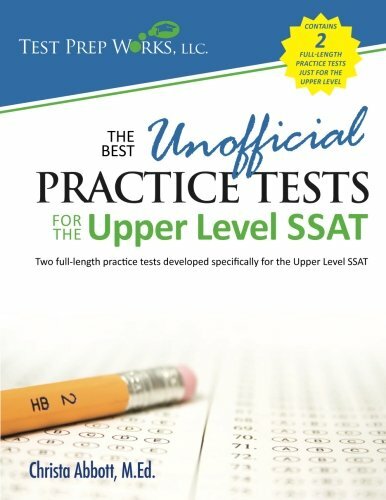 This book includes: • 3 full-length tests 1 diagnostic test to help you pinpoint the areas in most need of improvement, and 2 practice tests to help familiarize students with the real thing. • 1500+ practice questions broken out by topic, so students can focus on key areas. • Hundreds of reading comprehension questions covering literature, poetry, persuasive and expository passages • Hundreds of test-appropriate math questions including graphs, charts, shapes, and illustrations • Detailed answer explanations available online at www.thetutorverse.com. This book can be used for independent practice or for study with a professional educator. To best utilize a student's limited time, we recommend using this book with a tutor or teacher who can help students learn more about new or particularly challenging topics. 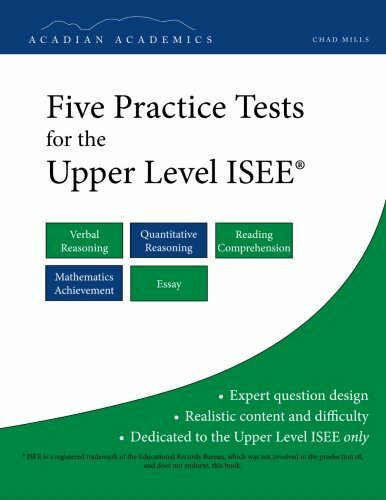 The title says it all: Five Practice Tests for the Upper Level ISEE. These tests are carefully calibrated to match the style, format, content and difficulty of the actual ISEE. Questions are based on specifications from the Educational Records Bureau, which administers the test (and does not endorse this book). Questions also adhere to standards established by the National Council of Teachers of Mathematics and the National Council of Teachers of English, both of which are identified by ERB as sources of ISEE material. Please note that unscored questions are not included on these tests. Since the actual ISEE contains some unscored questions, these tests are slightly shorter than the actual ISEE. Also, please note that answer explanations are not provided in the current edition. We hope to include answer explanations in future editions. Looking for more Upper Level similar ideas? Try to explore these searches: Ballast 4 Pin, Bleeding 100 Tabs, and Cow Applique. Look at latest related video about Upper Level. Shopwizion.com is the smartest way for online shopping: compare prices of leading online shops for best deals around the web. Don't miss TOP Upper Level deals, updated daily.